During the last week of school, Doug took an afternoon off work so we could spend some time together before the boys were home on summer break. We decided to go rollerblading around "the lakes". 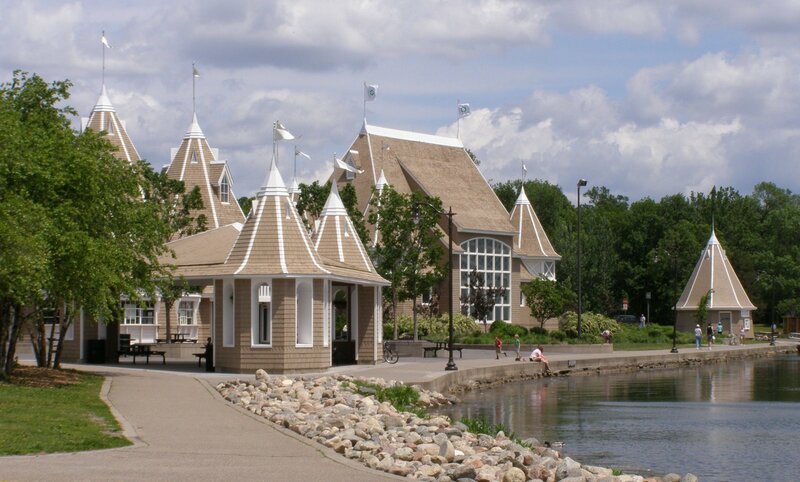 The Chain of Lakes in Minneapolis includes Lake Harriet, Lake Calhoun, Lake of the Isles, Cedar Lake and Brownie Lake. It is one of 7 districts included in the Grand Rounds National Scenic Byway. 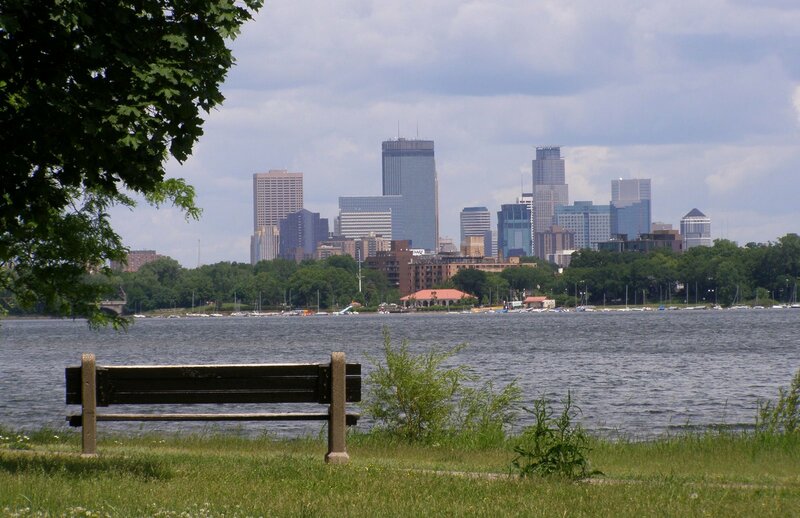 The above picture is a view of the Minneapolis skyline from Lake Calhoun. With limited time, we decided to only skate the 3 miles around Lake Harriet. The skating/biking path is separate from the walking/running one, and goes through a wooded park as it circles the lake. The path also goes past the Lake Harriet band shell, a popular summer concert venue. Next to the band shell are food concessions at the refectory. 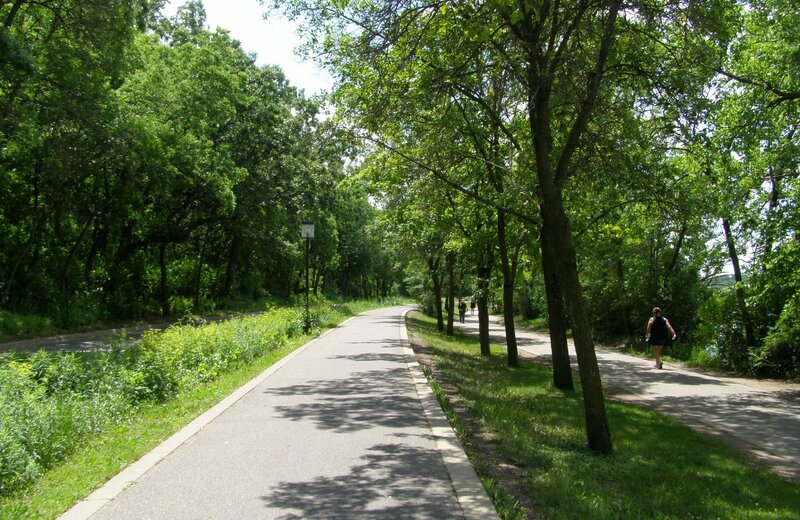 All the lakes are connected by 13.3 miles of paths, including 3.2 miles around Lake Calhoun and 2.6 miles around Lake of the Isles. If you go, be sure to also take some time to drive by the incredible houses that line the different parkways around the lakes.